6:09 a.m. — A Harding Way West resident turned over a syringe found in a trash can to police. 11:06 a.m. — A credit card found by the back door of the Bistro 217. 1:39 p.m. — Police responded to a report of someone vaping and someone with tobacco products at the Galion City Schools campus. 2:33 p.m. — A customer of Firelands Federal Credit Union reported someone had stolen money from an account. 5:49 p.m. — A counterfeit $100 was reportedly received at Duke and Duchess. 7:34 p.m. — A cell phone was reported stolen in Heise Park. 10:38 p.m. — Officers assisted EMS personnel after a report of someone falling down in the 600 block of North Union Street. 6:47 a.m. — One person was arrested on a Crawford County warrant in the 400 block of Libby Lane. 8:54 a.m. — A North Market Street resident reported being threatened on social media. 11:39 a.m. — A Sherman Street resident reported receiving harassing phone calls. 3:14 p.m. — A Harding Way East resident reported being harassed. 6:17 p.m. — One kid received a warning for disorderly conduct after an incident at Heise Park. 7:24 p.m. — A wallet was reported stolen from McDonald’s. 7:33 p.m. — A 911 hang-up call was investigated in the 300 block of Hensley Avenue. 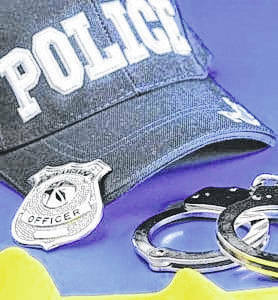 10:58 p.m. — A group of people were issued warnings for trespassing and disorderly conduct at Circle K.
11:15 p.m. — One man was arrested on a Richland County warrant in the 1400 block of Baehr Street. 12:27 p.m. — A man was arrested for disorderly conduct after police responded to a report of a man wrecking a room at the Rainbow Motel. 5:38 p.m. — Two boys received warnings for disorderly conduct after a report of a fight near First Avenue. 6:26 p.m. — Officers assisted EMS personnel in the 400 block of Sherman Street. 7:20 p.m. — A camera and other accessories stolen from Eagle Dance Center on Harding Way West. 10:39 p.m. — A South Market Street resident reported receiving harassing phone calls. 12:27 a.m. — A possible breaking and entering was investigated in the 400 block of Libby Lane. 2:14 a.m. — A traffic stop on Ohio 61 resulted in summons being issued to one person for possession of marijuana and possession of drug paraphernalia. 3:04 a.m. — A domestic dispute was investigated in the 400 block of Harding Way West. 4:10 p.m. — An apartment was reportedly broken in to in the 400 block of Libby Lane was investigated. 5:13 p.m. — Police received a report of of an unruly juvenile in the 600 block of Brookside Drive. 10:53 p.m. — One person was issued a summons for possession of drug paraphernalia after a traffic stop near Harding Way West. 11:15 p.m. — A domestic dispute was investigated in the 300 block of Grove Avenue. 2:17 a.m. — Officers assisted EMS in the 300 block of West Atwood Street. 3:49 p.m. — A ladder stolen was reported stolen from a truck in the 1200 block of McClure Street. 8:59 p.m. — A 30-year-old Upper Sandusky girl was arrested on a misdemeanor warrant in the area around Cedargate Apartments. 8:07 a.m. — A vehicle was reported broken into and money stolen by a resident of North Columbus Street. 9:52 a.m. — A 38-year-old Bucyrus man was arrested for operating a vehicle under the influence after police received a report of a reckless driver. 10:05 a.m. — A North Liberty Street resident reported items stolen from their vehicle. 12:36 p.m. — Police received a report of a man being harassed at Speedway. 4:06 p.m. — One person was arrested for disorderly conduct and a second person taken into custody on a Marion Count warrant during an incident in the 100 block of West Walnut Street. 6:11 p.m. — A welfare check was conducted on a child in the 300 block of West Railroad Street. 8:14 p.m. — A 47-year-old Galion man was arrested on a charge of operating a vehicle under the influence on South Columbus Street. 10:56 p.m. — Drug-related items were confiscated from the 6000 block of Brandt Road. 8:45 a.m. — Police received a report of report of illegal dumping in the 100 block of North Columbus Street. 10:07 a.m. — A 38-year-old Galion man was arrested for disorderly conduct in the 200 block of Portland Way South. 4:28 p.m. — Two bikes were reported stolen by a Fifth Avenue resident. 7:43 p.m. — Officers assisted EMS personnel in the 700 block of Park Avenue. 10:33 p.m. — A South Market Street resident reported packages on her front porch were cut open by someone.